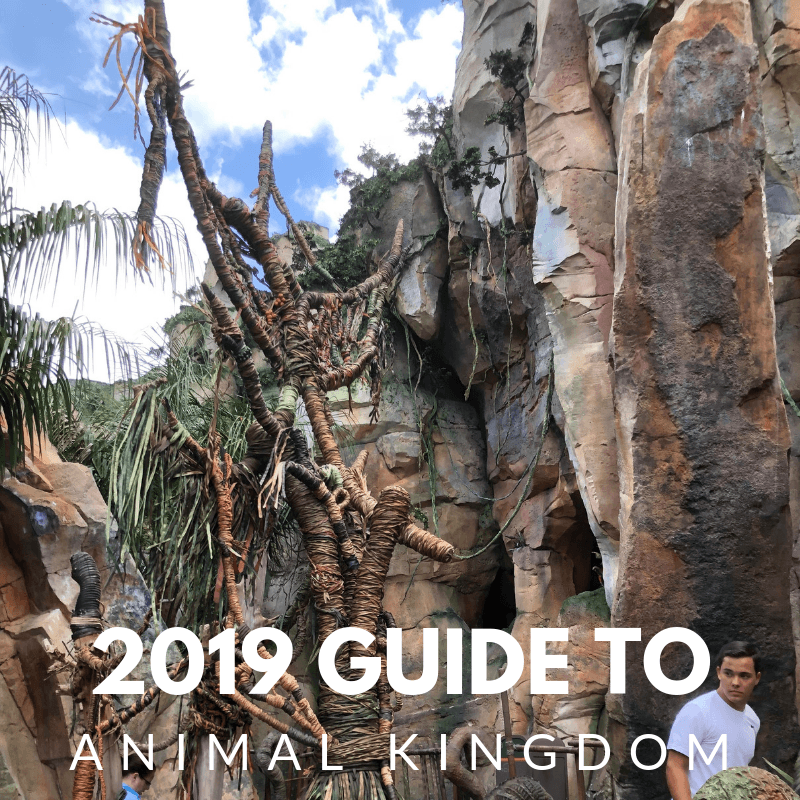 Updated for 2019 our Guide to Animal Kingdom for Beginners is full of the latest information to plan your Walt Disney World Vacation. 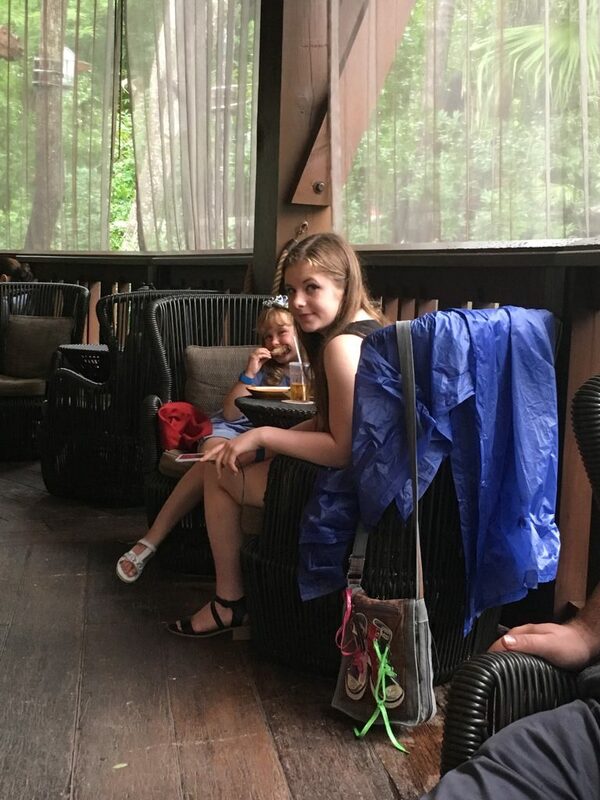 Our tips and Tricks are family focused and will ensure you have a great vacation. 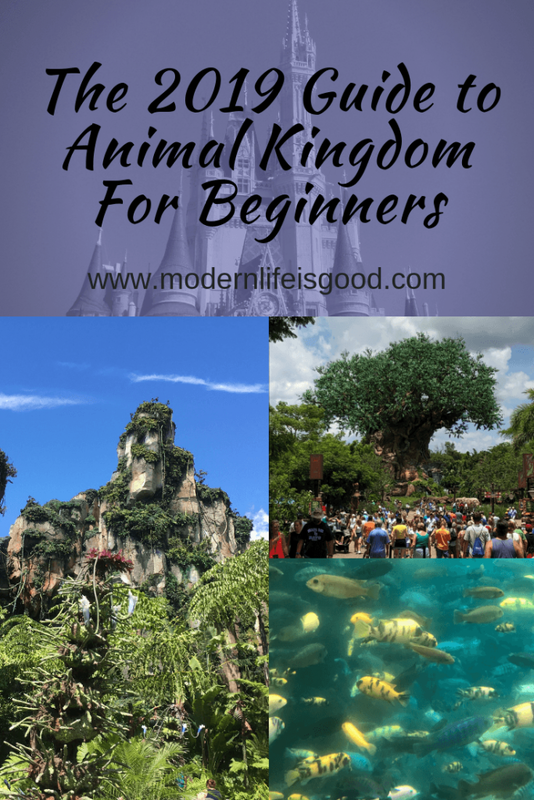 Our Animal Kingdom for Beginners Guide is an extensive guide to help plan your Walt Disney World vacation. It forms part of our expanding Guide to Walt Disney World for Beginners. If there is specific information you are looking for these jumps will help you find the information. Animal Kingdom The Basics includes park history & facts. Planning Your Visit All the Essential Knowledge to have a great vacation including Fastpass+, meeting characters, useful information & dealing with crowds. In additions, there are Tips & Hints to have a great time in the Animal Kingdom. The Animal Kingdom Lands All the lands at the Animal Kingdom including Orlando’s Number 1 attractions in Pandora – The World of Avatar. 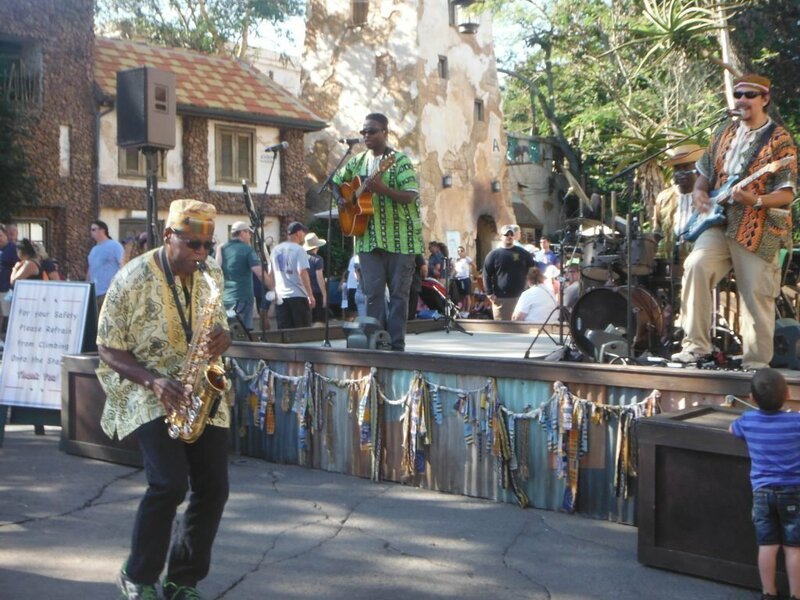 Entertainment at the Animal Kingdom What can you do at the Animal Kingdom apart from rides? There are some fantastic shows and street entertainment. Disney’s Animal Kingdom was the 4th park to open at Walt Disney World on April 22, 1998, & has just celebrated its 20th anniversary. 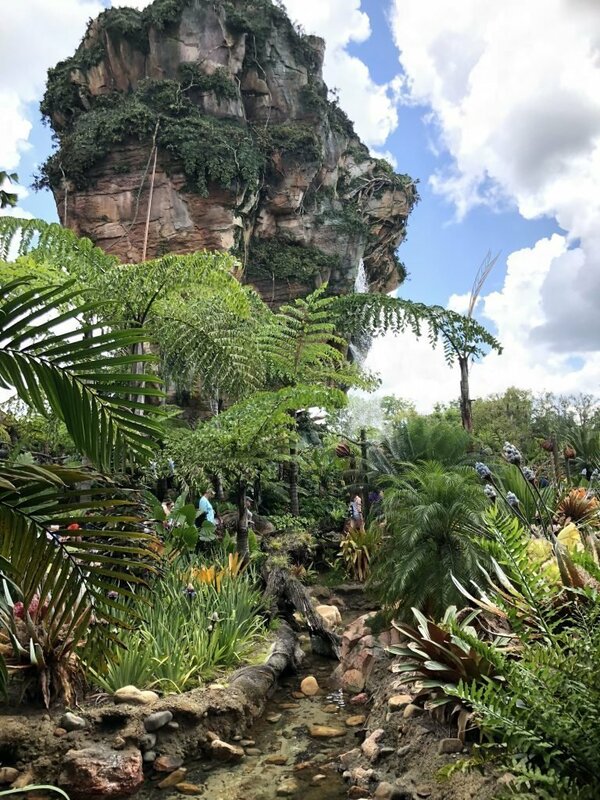 Attendance at the Animal Kingdom rose 15% in 2017 following the opening of Pandora – the World of Avatar. 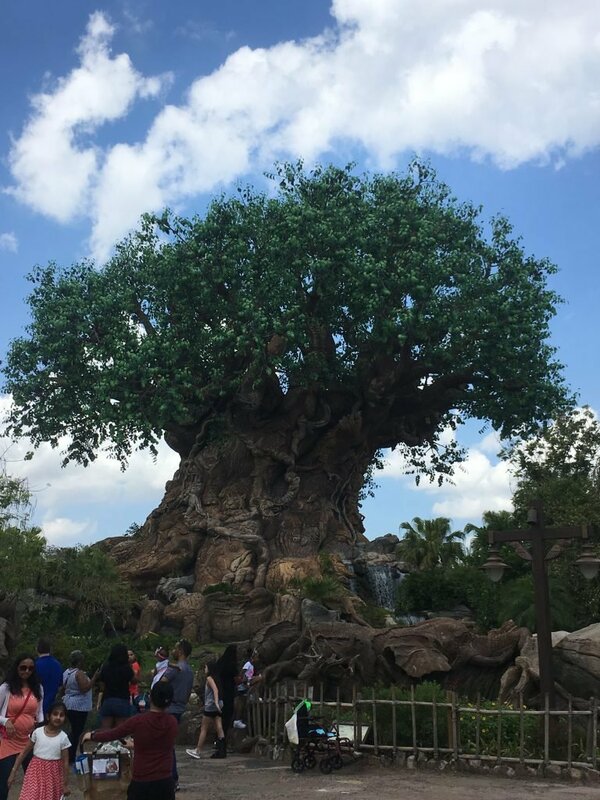 2017 attendance at the Animal Kingdom was 12.5 million making it the second most popular park in Walt Disney World. The park’s icon is The Tree of Life a 145-foot tree sculpture. The tree was engineered from a former oil platform and has 325 carvings. In total there are around 2000 animals representing 300 species. The park is accredited by the Association of Zoos and Aquariums and the World Association of Zoos and Aquariums. However, animals are not all you will find in this superb park. 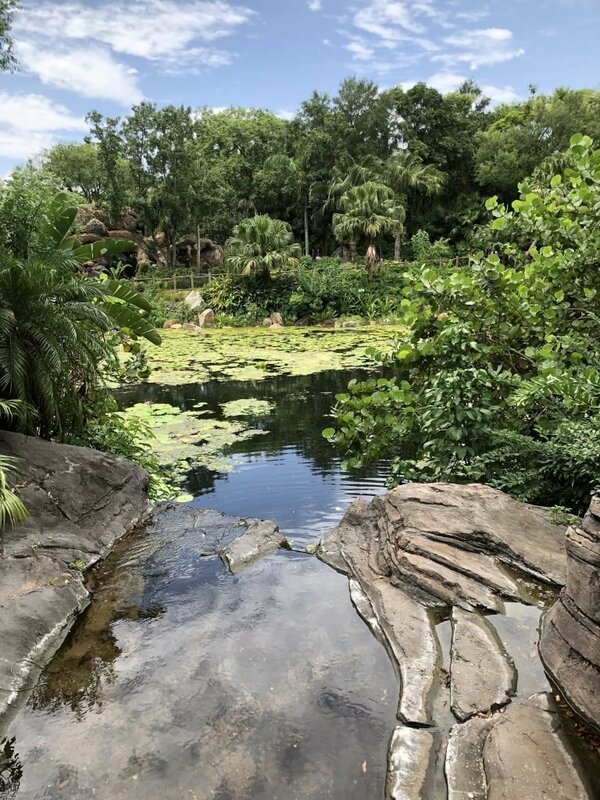 The Animal Kingdom has some of the biggest E-Ticket attractions in Walt Disney World and after the opening of Pandora – World of Avatar this is at least a 2-day park. Welcome to a kingdom of animals… real, ancient and imagined: a kingdom ruled by lions, dinosaurs and dragons; a kingdom of balance, harmony and survival; a kingdom we enter to share in the wonder, gaze at the beauty, thrill at the drama, and learn. Despite being the newest theme park at Walt Disney World it has plenty of interesting statistics and facts. For example, did you know that the original plans for the Animal Kingdom featured an area called the Beastly Kingdom? Eventually, a new land Pandora – The World of Avatar was built on the land reserved for the Beastly Kingdom. 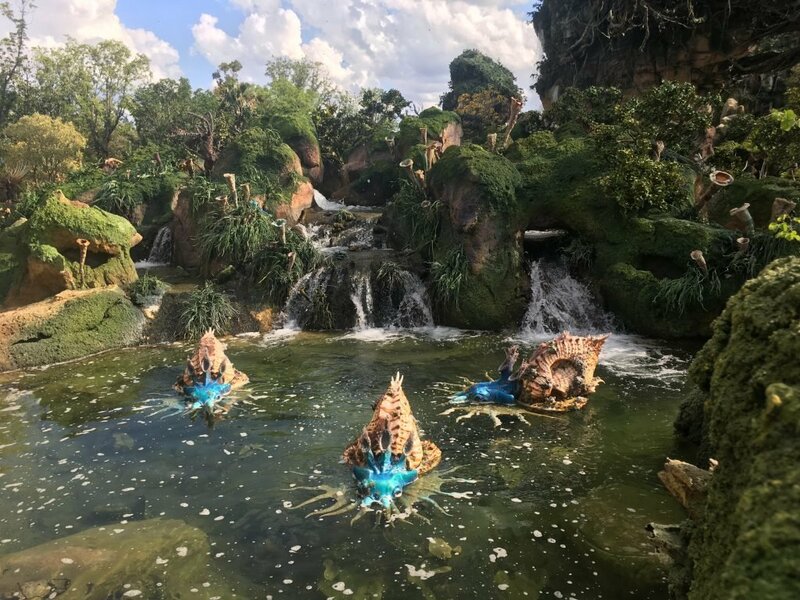 We have created collections of some of our favorite Animal Kingdom Facts and Pandora – The World of Avatar Facts for you to enjoy. To experience the Animal Kingdom you should spend time planning your experience. In the past, it was possible to do all the major attractions in one day but following recent park expansions, this is now impossible. The majority of guests will need 2 or even 3 days to experience the full park. Not having a plan could mean you miss your top attractions. There are key booking windows to secure dining reservations and make ride reservations at Disney’s Animal Kingdom. In this section, we will guide you through all the Essential Animal Kingdom knowledge you need to enjoy your vacation. Fastpass+ is Disney’s attraction reservation and allows you to book attractions in advance of your visit. It is important you understand Fastpass before your visit and the key booking windows. Failing to make Fastpass+ reservations will mean longer lines and fewer completed attractions. You can learn more about the basics of Fastpass in our guide. Before arrival at the Animal Kingdom, guests can schedule 3 Fastpass reservations. Once your first reservations are used, you can plan an extra pass. You can continue booking additional selections until the end of the day or until no more Fastpass slots are available. The Animal Kingdom does not allow equal booking to all Fastpass attractions. You can only pre-book one Tier 1 Fastpass for either Navi River Journey or Flight of Passage. Due to the popularity of these attractions do not expect to get an extra Fastpass later in the day. 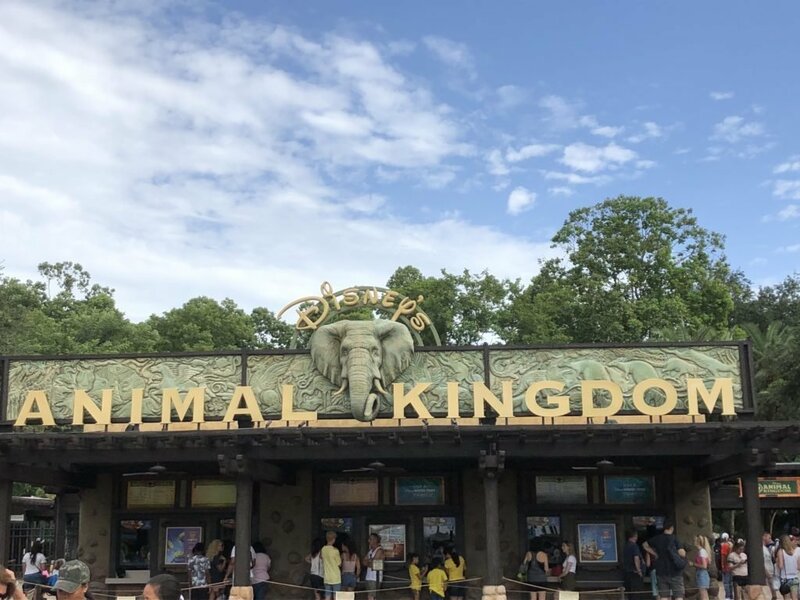 We have created a Guide to Fastpass at the Animal Kingdom which will help with your planning. We have included information on how to get those Key Pandora Fastpasses and what to do if you miss out. Are you big enough to ride? 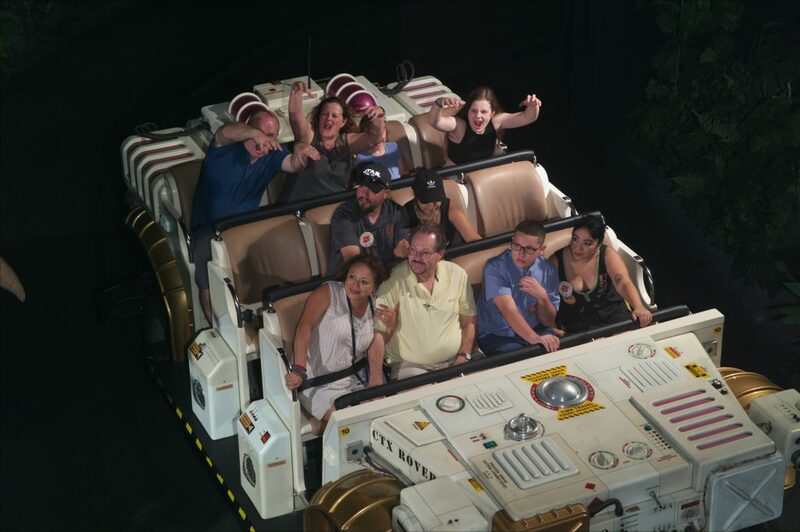 Also, many small children do find It’s Tough To Be a Bug petrifying & Dinosaur many young guests will find a little scary even if big enough to ride. 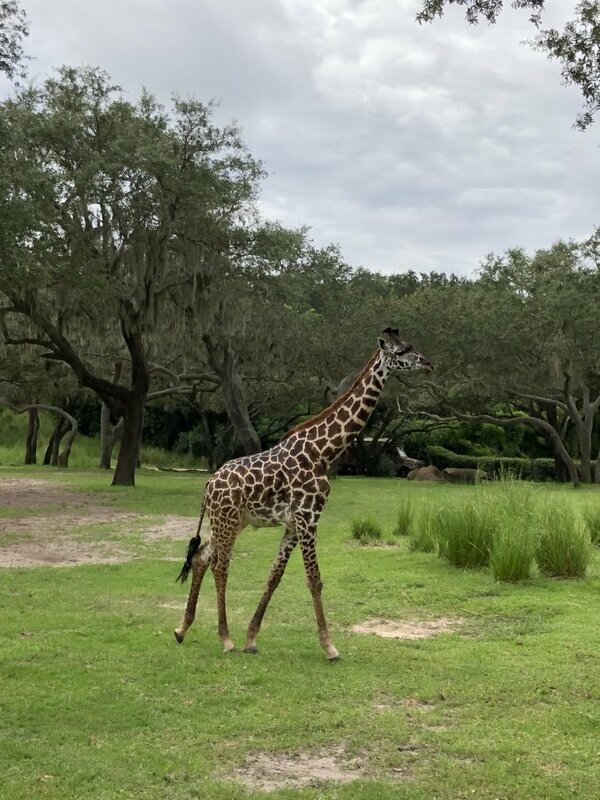 Guests of Walt Disney World Resort Hotels & select non-Disney owned resorts can enjoy extra time in the Animal Kingdom several days each week. Extra Magic Hours occur either before parks open or after they close to regular guests. However; remember there are 30000 hotel rooms in WDW, plus more to open in 2019, so that is a lot of people who can attend. We have created a Guide to Extra Magic Hours so you can learn more. Struggling to get a Fastpass for all your top attractions? 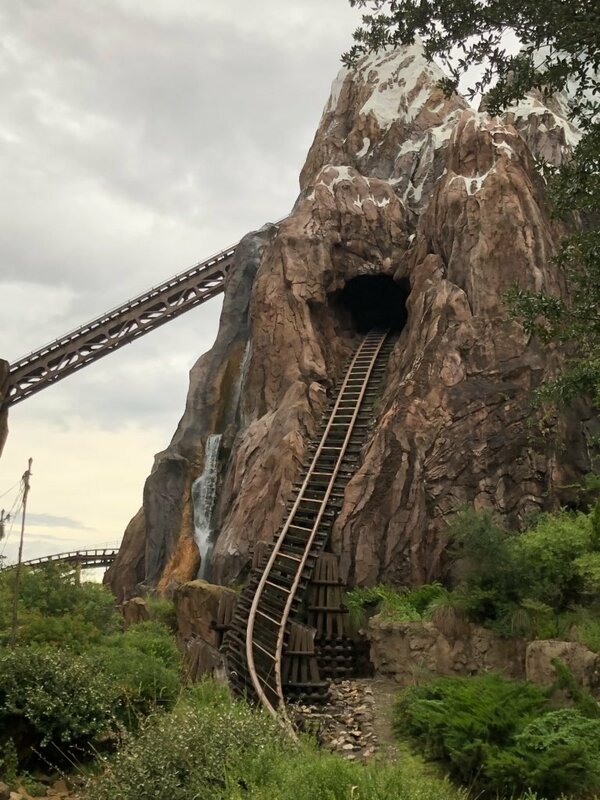 Expedition Everest has a single rider line which can cut your wait if you are happy to ride on your own. Read our Guide to the Single Rider Line to find out more. The Animal Kingdom provides extensive facilities for all forms of disabilities including visual, auditory, mobility & cognitive disabilities. You are able to contact Walt Disney World at (407) 560-2547 or [email protected] prior to your visit to discuss your requirements. 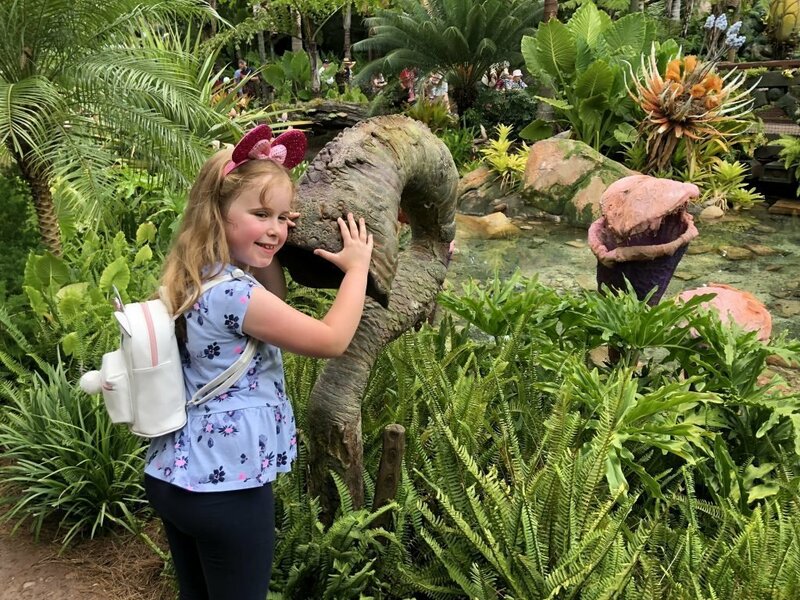 Our Guide to Disabilities at the Walt Disney World has plenty of essential Information including ECV Hire, Dietary Issues and details on The Disability Access Service. 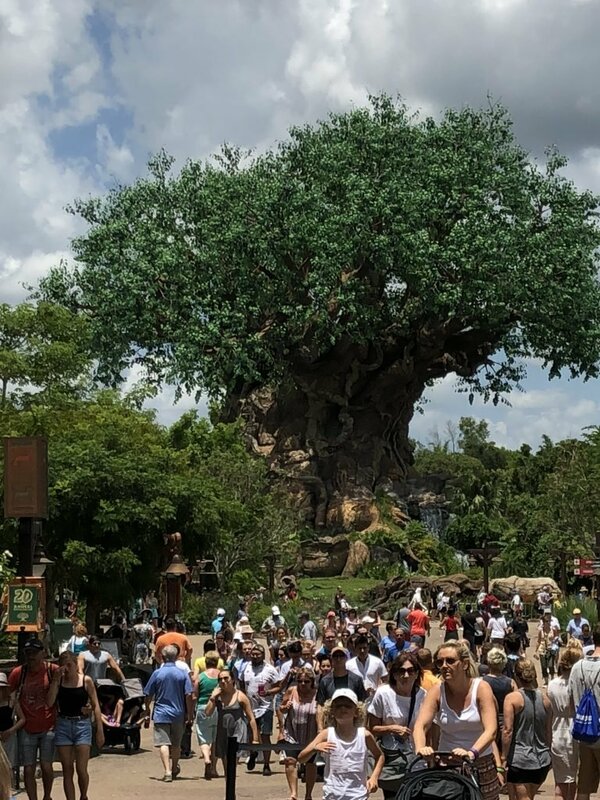 Disney’s Animal Kingdom has become a very popular park following the opening of Pandora – World of Avatar. No matter when you visit you will meet some crowds. Sometimes the crowds will be light, but on occasion, they might feel unmanageable. 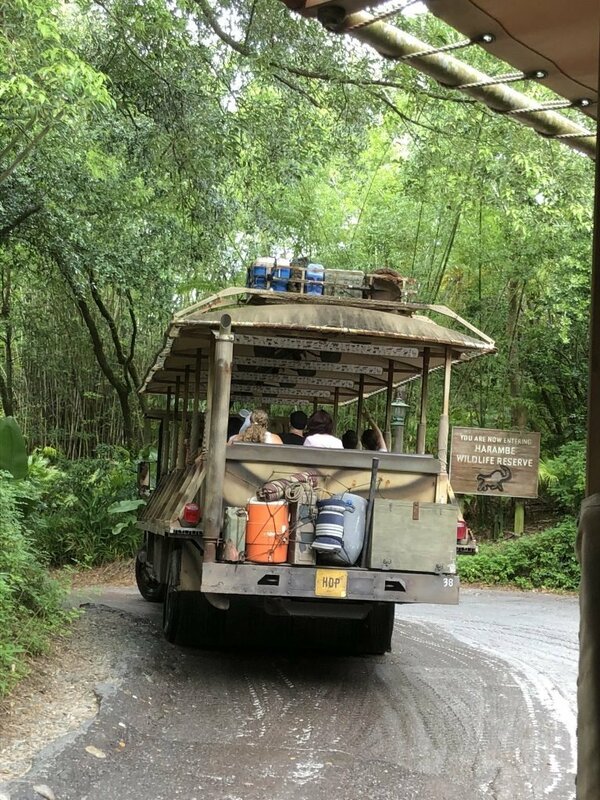 However, you can still have a great day at Disney’s Animal Kingdom even when it is crowded.Avoiding Crowds at Walt Disney World is a guide we have created full of hints & tips to manage the busiest days at the Animal Kingdom. 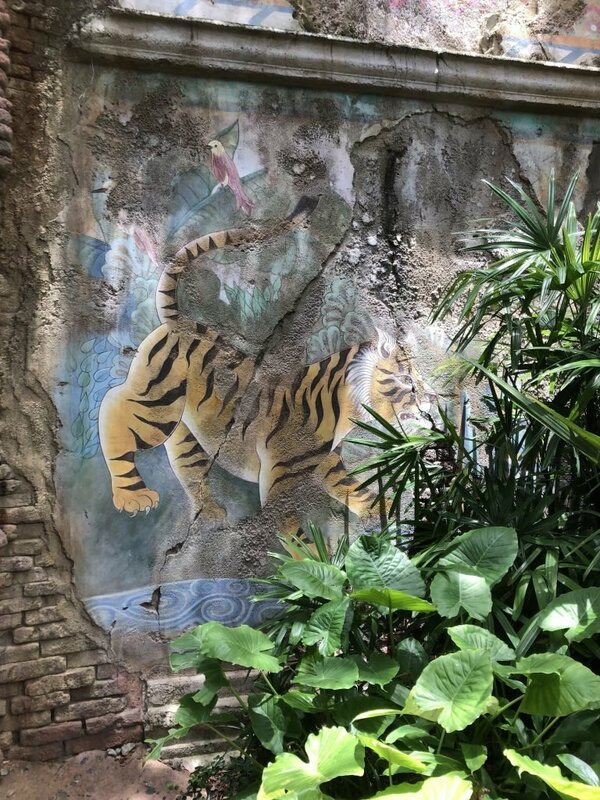 Characters are probably not the main reason guests visit the Animal Kingdom. However, there are several characters you can meet which you will not find in other parks. Although not guaranteed, waits to meet the most popular Disney Characters can be shorter in the Animal Kingdom compared to the Magic Kingdom. At the time of writing characters that can only be met in the Animal Kingdom include Pocahontas, Russell and Dug. 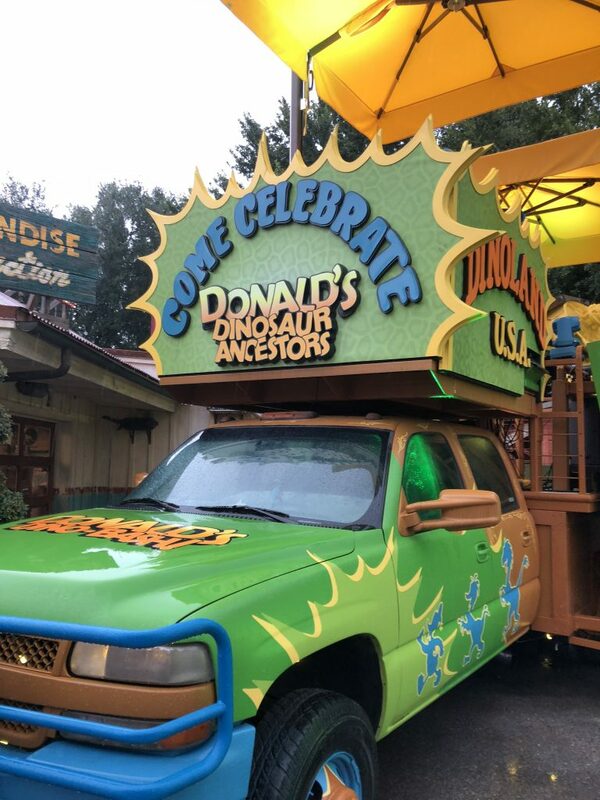 During summer 2018 Donald’s Dino Bash opened in DinoLand USA. Characters include Donald, Daisy, Goofy, Pluto Launchpad McQuack & Chip ‘n Dale all in new costumes. This area has now become permanent, and is one of the best character meets at Walt Disney World. Make sure you check the My Disney Experience App to find where your favourite character is located. Our Guide to Finding Characters at Walt Disney World has further information. 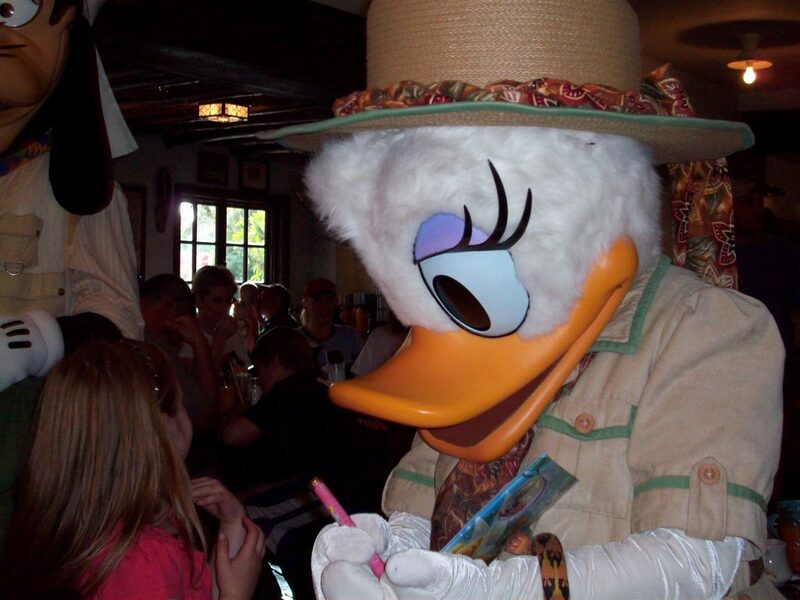 One way many guests choose to meet characters is by booking a character meal. 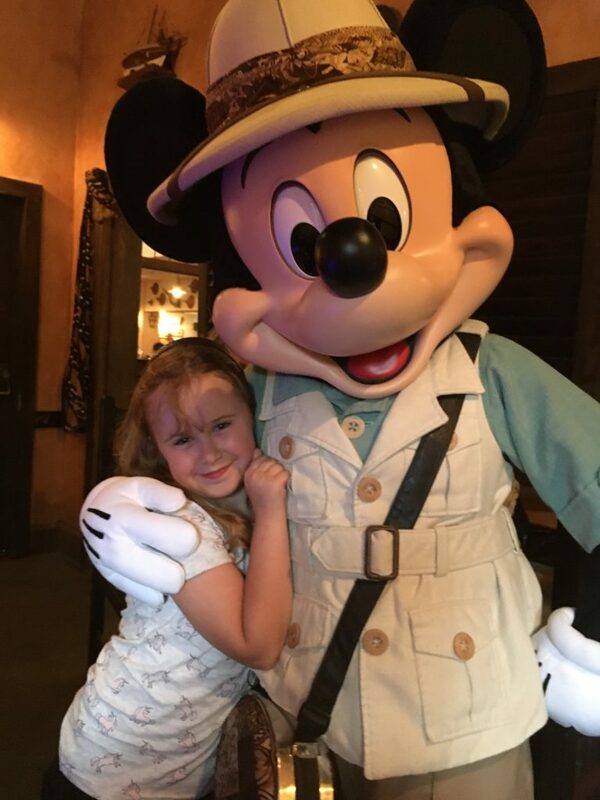 Character meals offer an extra opportunity to meet some of your idols without lengthy waits. In the Animal Kingdom, there is 1 Character Meal located at Tusker House in Africa. Donald’s Safari Breakfast/Lunch/Dinner. This meal offers the opportunity to visit Donald and pals in an African Safari setting. The menu is mildly African inspired. 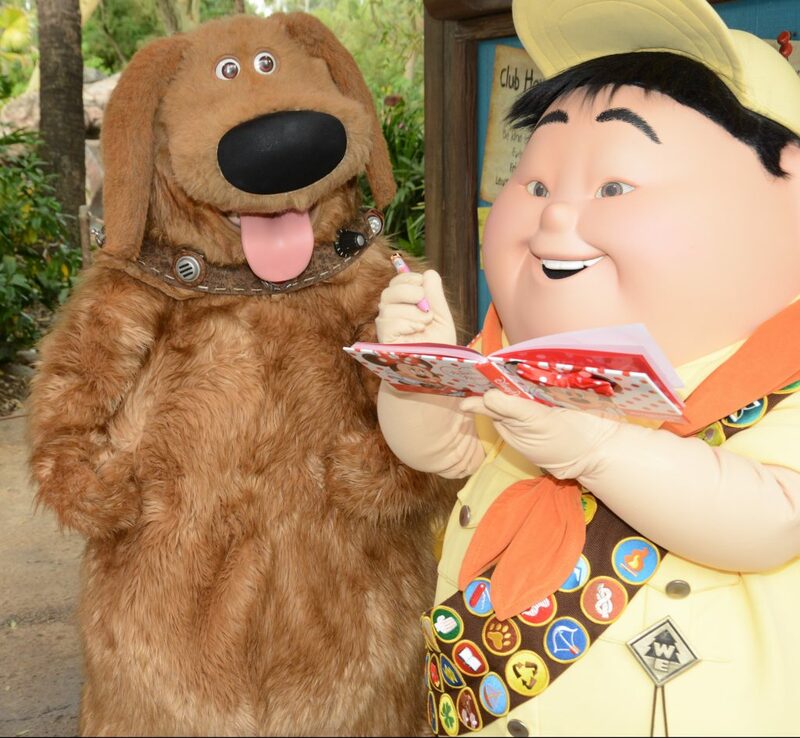 Our Guide to Character Meals at Walt Disney World has further information. Do you need a wheelchair, stroller, locker, ECV or even an umbrella? Many articles are available to hire inside Disney’s Animal Kingdom. Look at the park map, the Disney Experience App or speak to Guest Relations for further information. 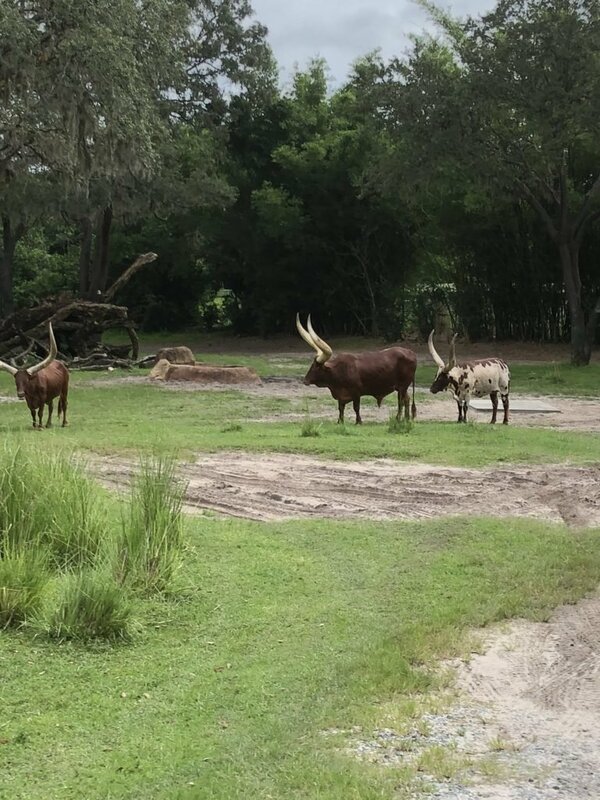 WiFi is now available throughout Animal Kingdom. There are occasional black spots eg in lines, but coverage is almost universal within the park. However, we have noticed the service is less reliable when parks are busiest. 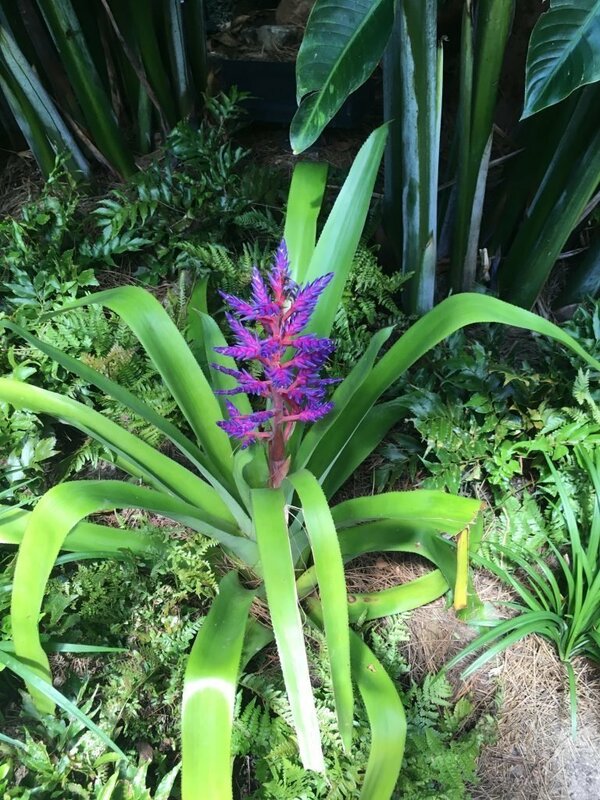 It is easy to lose things at Animal Kingdom, but perhaps amazingly things often do get found! If you lose anything it is important to report it straight away. Information on how to report your lost items is located here. if you need any assistance speak to a cast member or visit guest services. Smoking including electronic cigarettes is banned in most areas of the Animal Kingdom. The park has small designated smoking areas which can be located on the park map. The Animal Kingdom Baby Care Center is located to the left of the Tree of Life just before you cross into Africa. The Baby Care Center at Disney’s Animal Kingdom provides a convenient place to feed, change and nurse little ones & is complimentary to use. The center is fully staffed, well maintained and has a good selection of equipment. 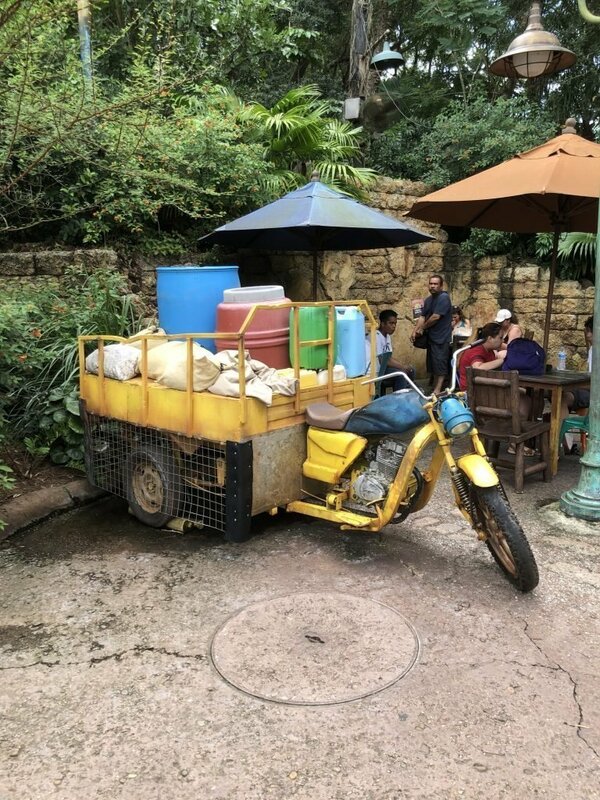 Kiosks are located throughout the Animal Kingdom selling FuelRod portable chargers. Currently, these kits cost $30. Kits include adaptors for all Apple and most Android devices. Once your charger needs replacing you merely swap it at a kiosk for a new FuelRod at no cost. Walt Disney World is constantly changing and it almost inevitable there will be some refurbishments & closures whenever you visit. 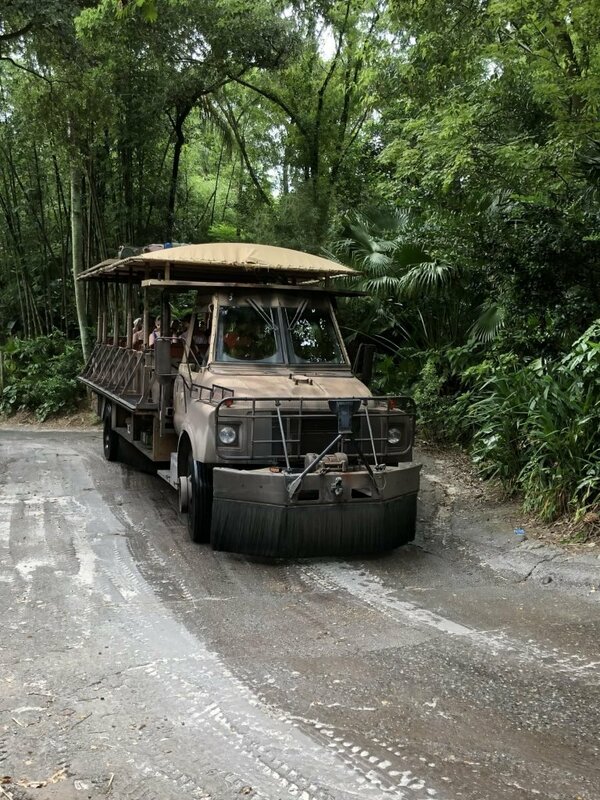 This handy guide contains all the current renovations and closures at Animal Kingdom. In addition to cash, the Animal Kingdom is happy to accept most credit cards. Cards are accepted almost everywhere including the smallest mobile counters. Guests with Magic Bands & staying in a Disney Resort can setup room charging for purchases inside the park. ATMs are located at the Animal Kingdom and can be located on the park map and the My Disney Experience App. Anybody who has ever visited The Animal Kingdom will have a list of Tips & Mistakes not to make at a future visit. Here is a selection of ours which we have learnt from previous visits. 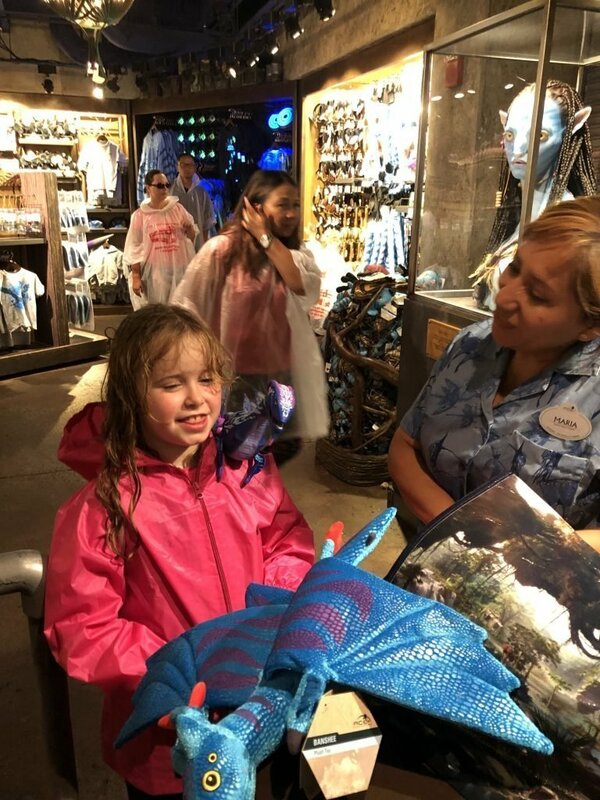 Learning from other guest’s experiences is a great way to create your Ultimate Animal Kingdom Plan. Animal Kingdom Mistakes to avoid to have a great day. 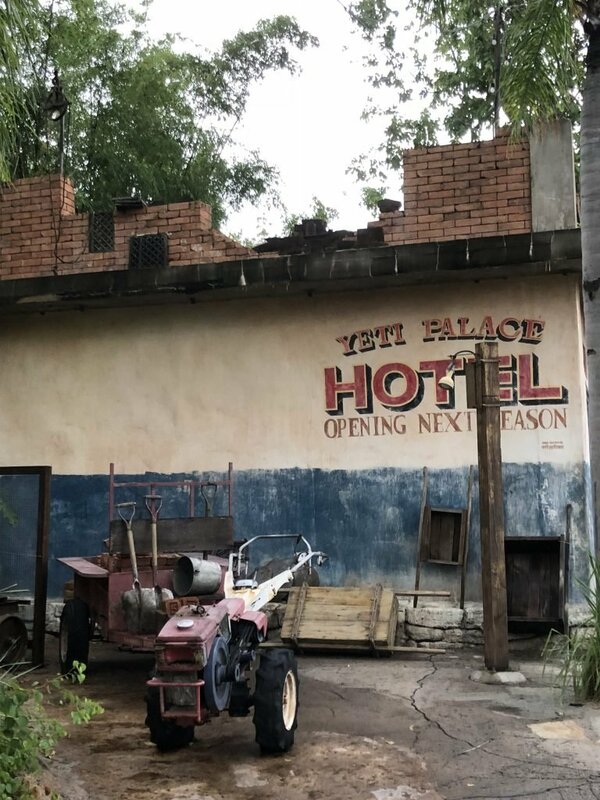 If time is tight these are attractions we would skip at Animal Kingdom. 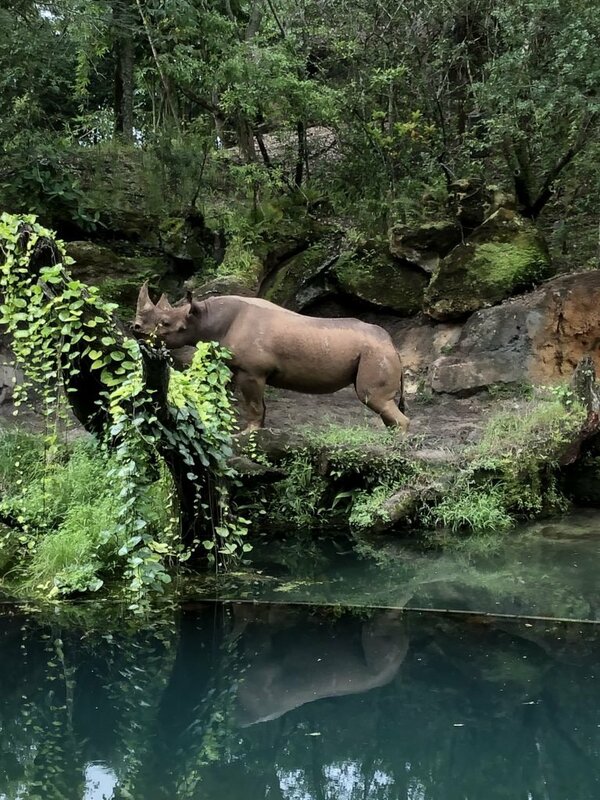 There are 7 lands at Disney’s Animal Kingdom. 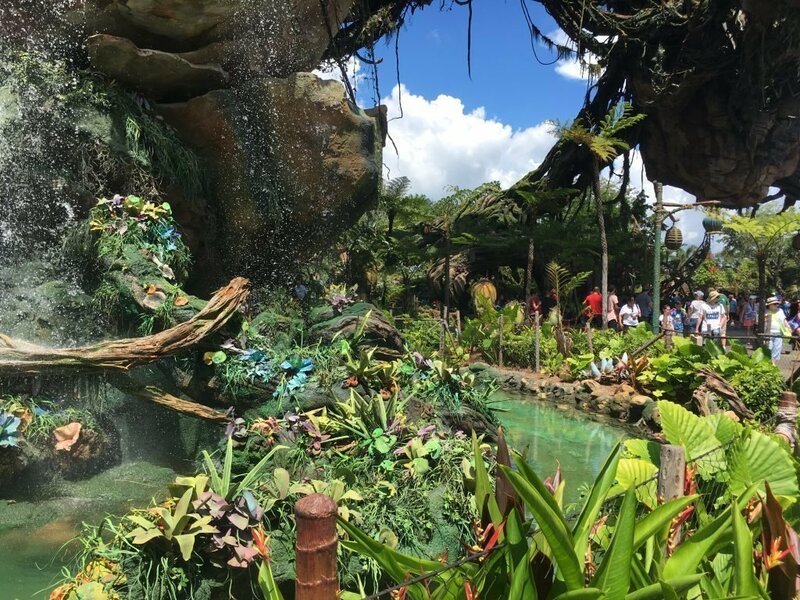 The newest land Pandora – The World of Avatar opened in 2017. The former land Camp Minnie-Mickey closed in 2014 to make way for Pandora. 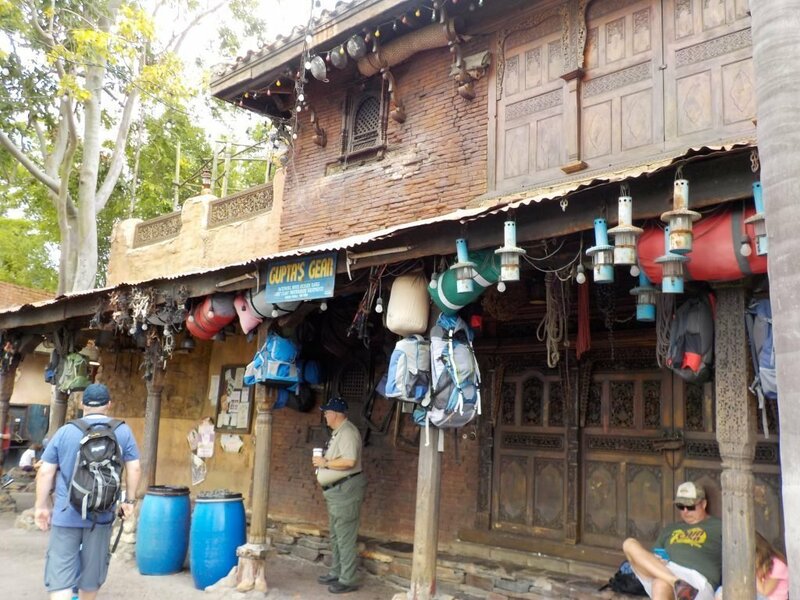 The Oasis is the Main Street, USA of Animal Kingdom. 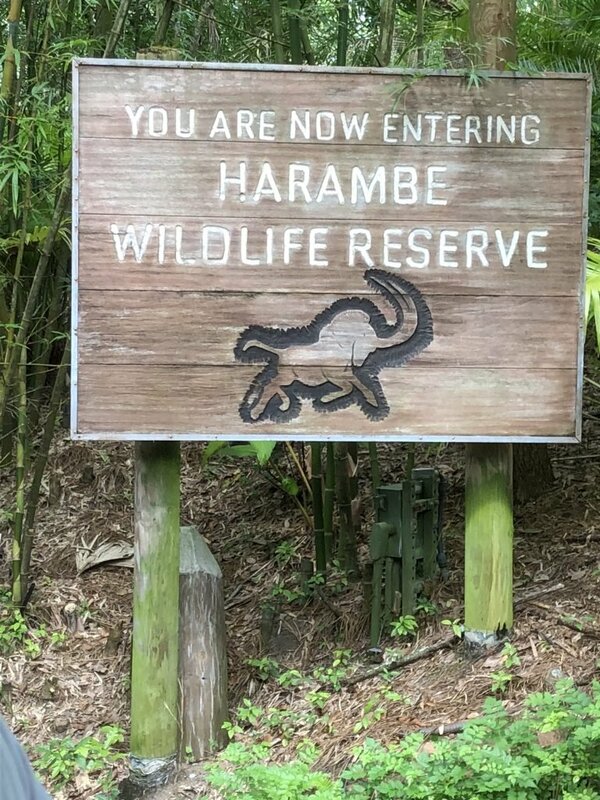 Guests enter this land after entering the park. Exhibits include wallabies, babirusa and a variety of birds. In addition, the Oasis has various guest facilities including locker hire, stroller hire, wheelchair hire and guest relations. 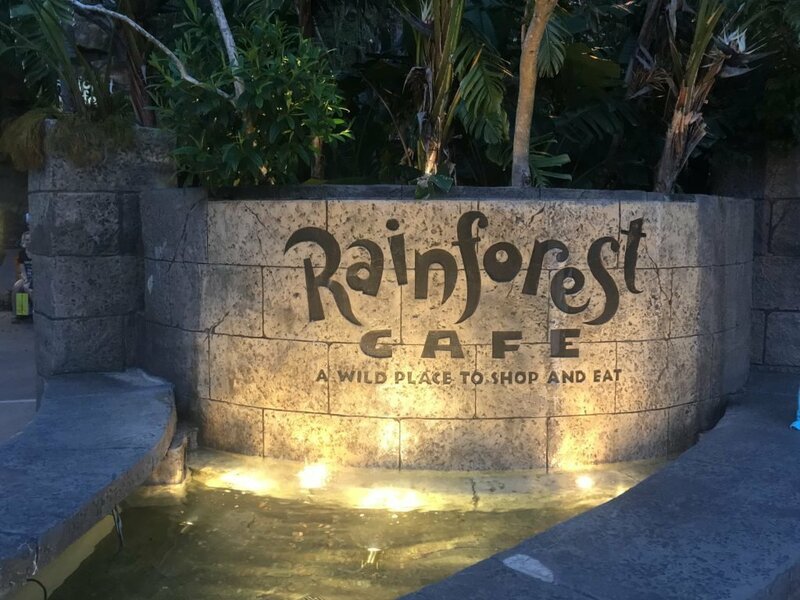 The Animal Kingdom has a Rainforest Cafe located at its entrance there is also a secondary entrance inside the park at the Oasis. This restaurant is officially outside the park & you must show tickets again to get back into the park after your meal.. 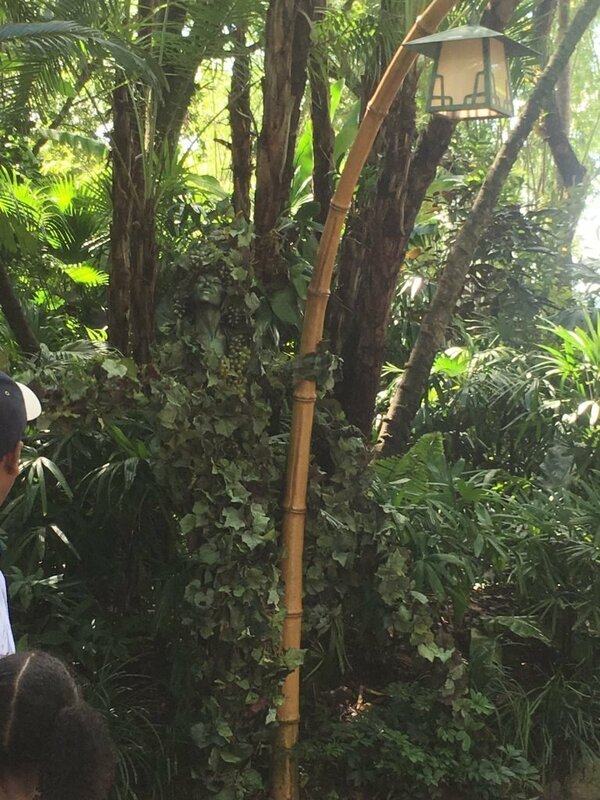 The maze of paths at the Oasis all leads to Discovery Island including The Tree of Life. Discovery Island is the main hub of the Animal Kingdom & is located around the Tree of Life. The Tree of Life is home to It’s Tough to Be a Bug! and several animal trails. Tough to Be a Bug is a 4D adventure starring the cast from A Bug’s Life. The animal trails are missed by many guests especially those in a hurry. Take your time there is plenty to see here. Kilimanjaro Safaris a ride through animal exhibit taking the theme of an African Safari Vacation. Informative commentary accompanies your ride. No 2 rides are ever the same & the unexpected can happen. Usually, animals are more active in the morning. Festival of the Lion King a great sing along with the cast of the Lion King. The Gorilla Falls Exploration Trail formerly known as The Pangani Forest Exploration Trails. This walkthrough exhibit includes hippos, meerkats and of course gorillas. Rafiki’s Planet watch closed in late 2018 and might reopen in Spring 2019. However, it is likely it will reopen in a different form than previously. The following information is what was available prior to closure. Reached via the Wildlife Express Train the area has a conservation station & petting zoo. 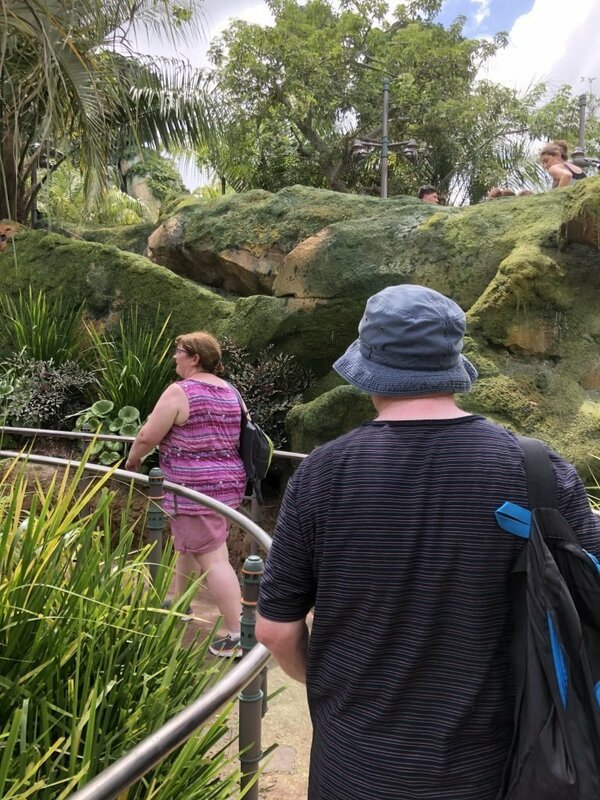 It does take quite a bit of time to get to Rafiki’s Planet Watch and although informative if you are short on time this is a section of the park to consider skipping. There are couple of character meet and greets in the area. 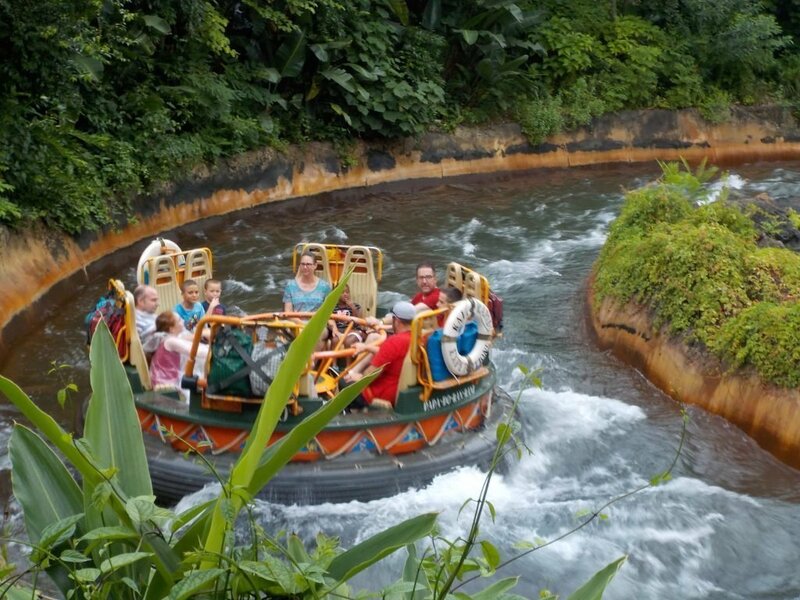 Expedition Everest & Kali River Rapids are the big attractions here. 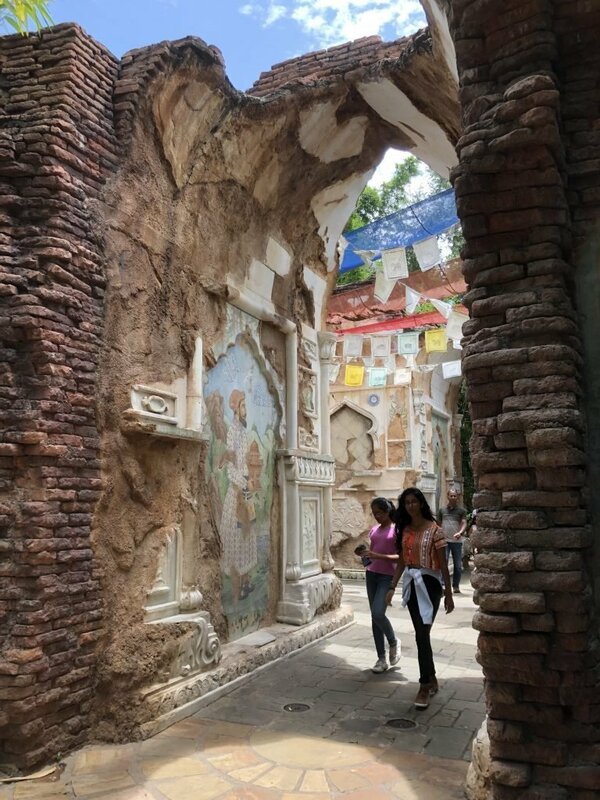 In addition, you will find the Maharajah Jungle Trek. The land is set in the fictional kingdom of Anandapur. There are 2 villages full of old ruins and the odd historic temple. The theming is fantastic and is centred around animal conservation. Asia opened in 1999, 1 year after Animal Kingdom’s opening. 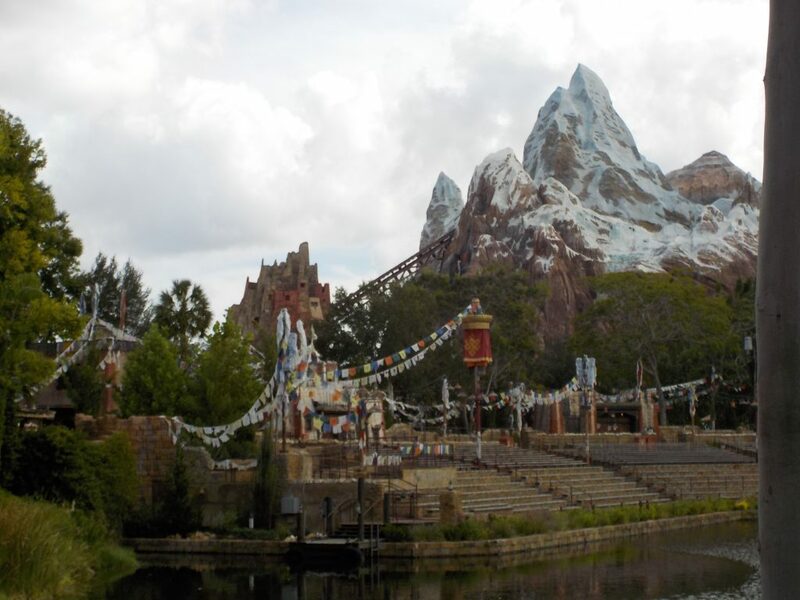 Expedition Everest Embark on a thrilling expedition through the Himalayas before coming face to face with the Yeti. A great fast thrilling coaster that has a backwards section. If you don’t have spare Fastpass option consider using the single rider line. Remember this ride will close during afternoon storms so try and ride early in the day. Kali River Rapids a fantastic raft ride. You will get wet and make sure you store your belongings in the free lockers before you ride. There is nowhere guaranteed to stay dry on your raft and the former onboard storage has been removed. This ride will also close during afternoon storms so try and ride early in the day. Maharajah Jungle Trek. This stunning exhibit includes tigers, Komodo dragons & a walk through bird exhibit. The popular Flights of Wonder show played for the last time on 31 December 2017. The new UP! 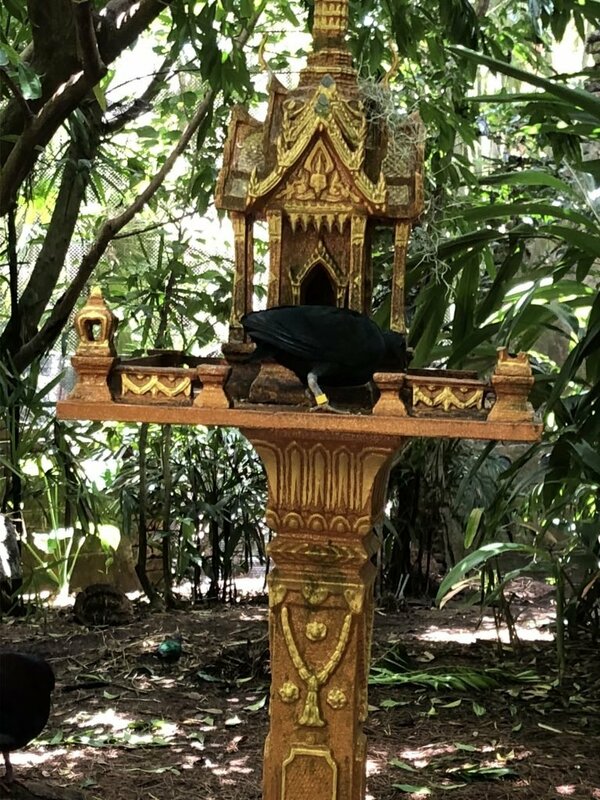 A Great Bird Adventure has recently opened. In this show, featuring characters from Up!, you can discover some of the world’s most exotic birds. Dinoland U.S.A. contains the excellent Finding Nemo: The Musical and Dinosaur. Make sure you check the showtimes for Finding Nemo & arrive early when the park is busy. Dinosaur is a ride many young children will find scary but it is great fun. The awful tacky Chester and Hester’s Dinorama contains Triceratops Spin and Primeval Whirl. Chester and Hester’s Dinorama continues to feel out of place in the otherwise stunning Animal Kingdom park. Triceratops Spin is a Dumbo-like ride on a triceratops. 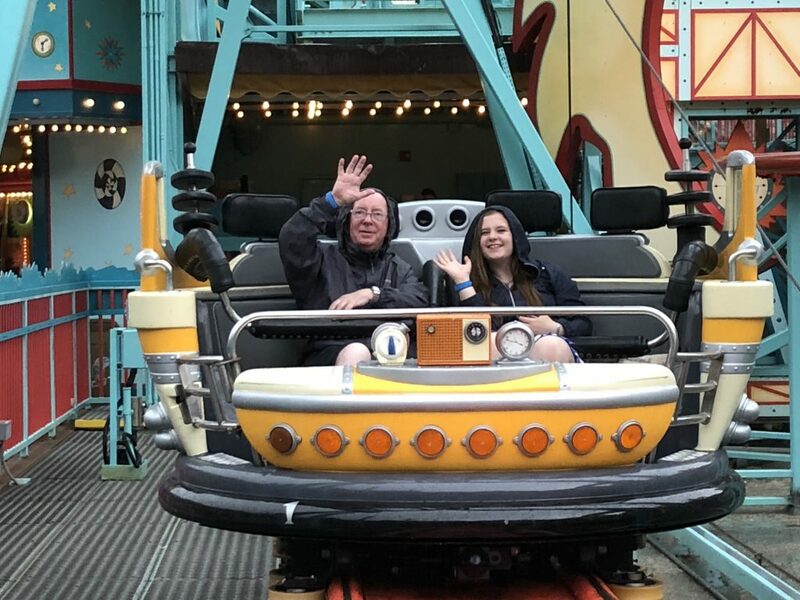 Primeval Whirl is a spinning coaster. Which if it had better theming would be actually a fairly good ride. 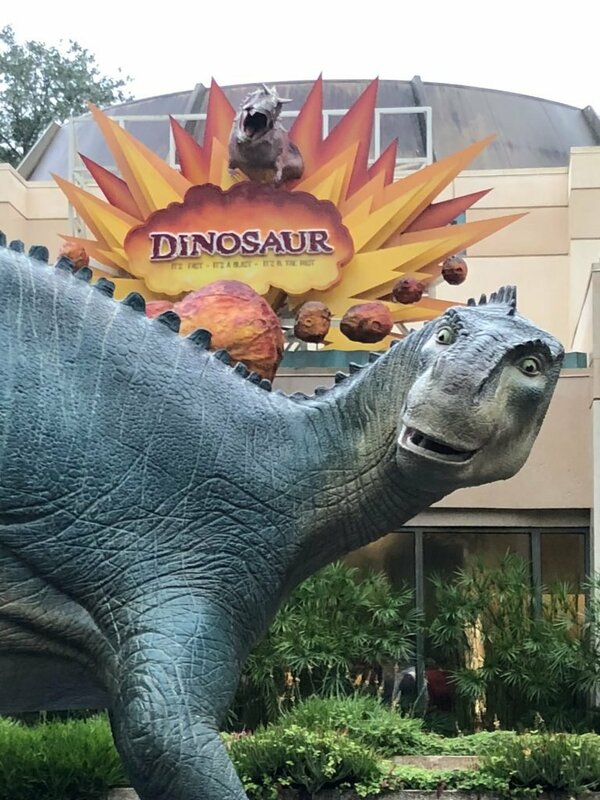 A new meet and greet came to DinoLand in 2018. At Donald’s Dino-Bash! you can meet Donald, Daisy, Goofy, Pluto, Chip ‘n Dale and Launchpad McQuack. 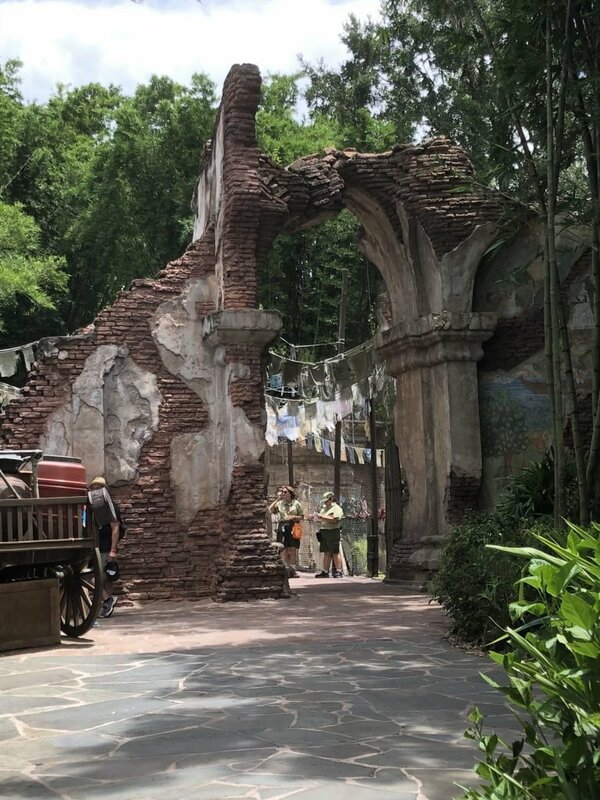 The newest area of Animal Kingdom opened in 2017 containing the unbelievable attractions Flight of Passage & Na’vi River Journey. Na’vi River Journey Guests are taken through the Kasvapan River of Pandora. 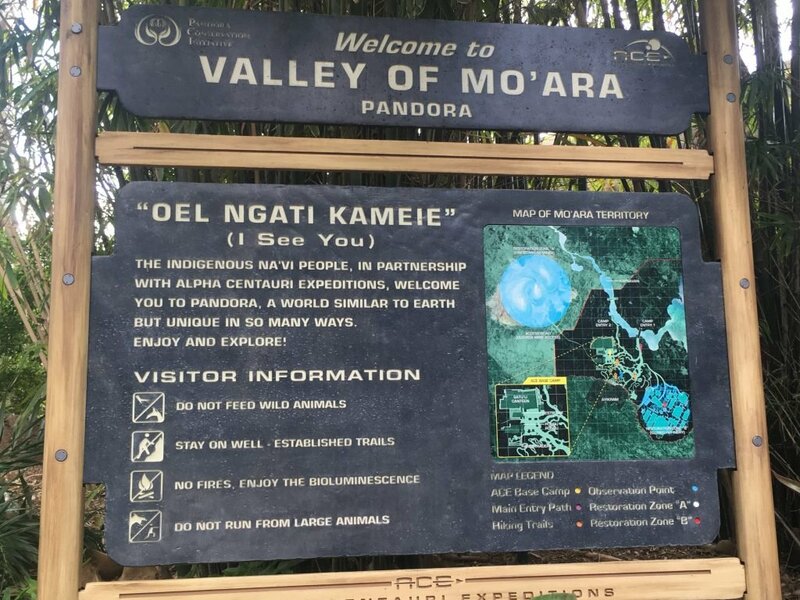 On your journey, you will see native animals and bioluminescent flora. The ride is stunning and will appeal to all the family. Flight of Passage. Guests take a flight on a Banshee across Pandora. 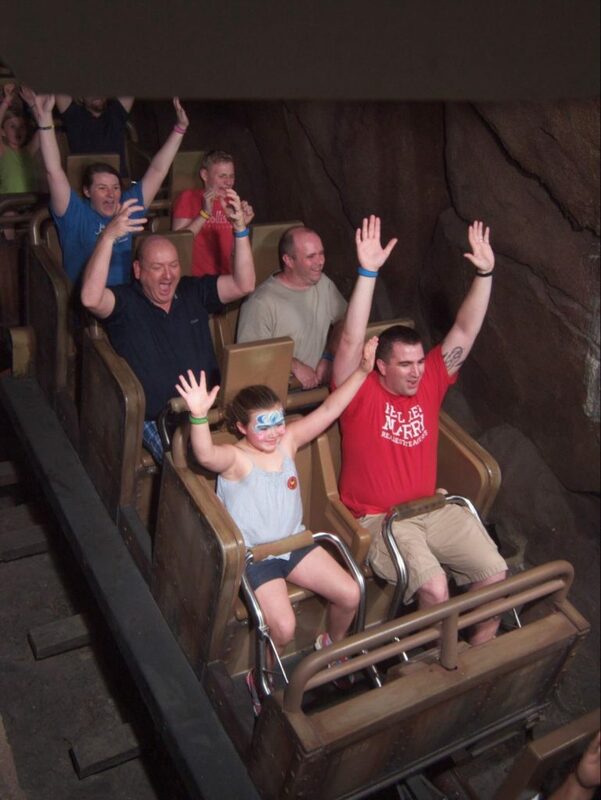 This 3D simulator is unbelievable and has raised the bar on theme park experiences. It does get better the more times you ride and in my opinion is one of the only rides I would consider a lengthy wait for. You should not miss it. 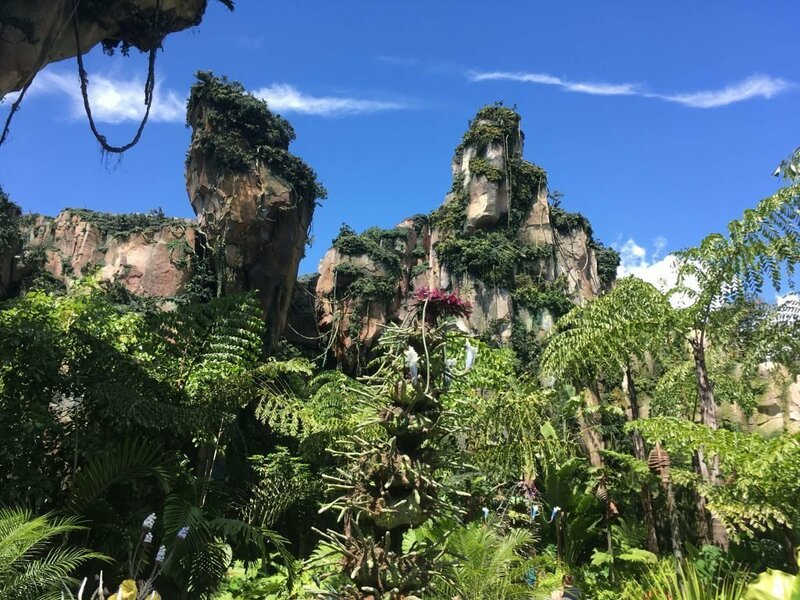 Make sure you leave plenty of time to explore Pandora and try to visit both during the day and night. Pandora is even more magical at night. 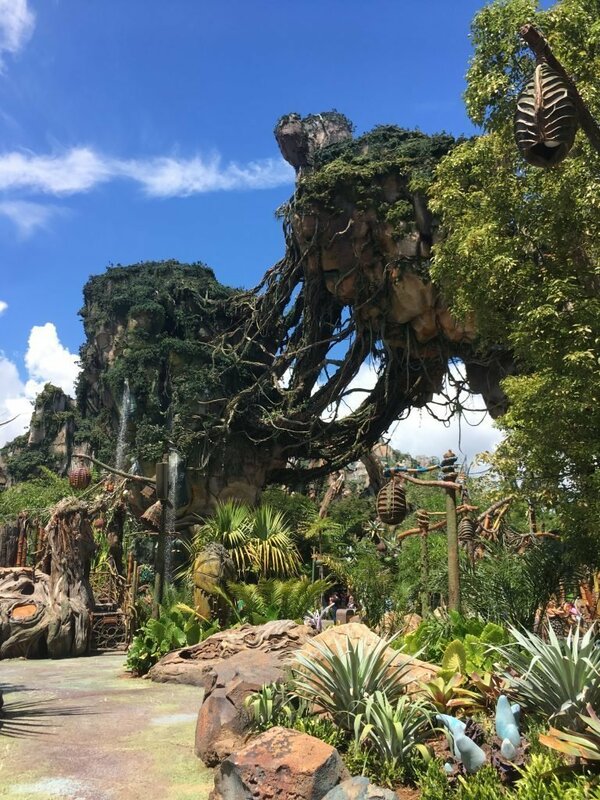 We have created a Guide to Pandora – The World of Avatar which has plenty of additional hints and tips. Animal Kingdom has 4 table service restaurants. Rainforest Cafe part of the worldwide chain. The restaurant can be entered both from inside and outside the park. Click here to see our video review. Tusker House in Africa offers safari themed Character Meals for breakfast, lunch & dinner. Your meal is hosted by Donald Duck. Yak & Yeti an Asian-themed restaurant. Click to read our review of Yak & Yeti. Tiffins this signature restaurant opened in 2016 and has the Nomad Lounge adjacent. In addition, there are several excellent quick service restaurants in the park. 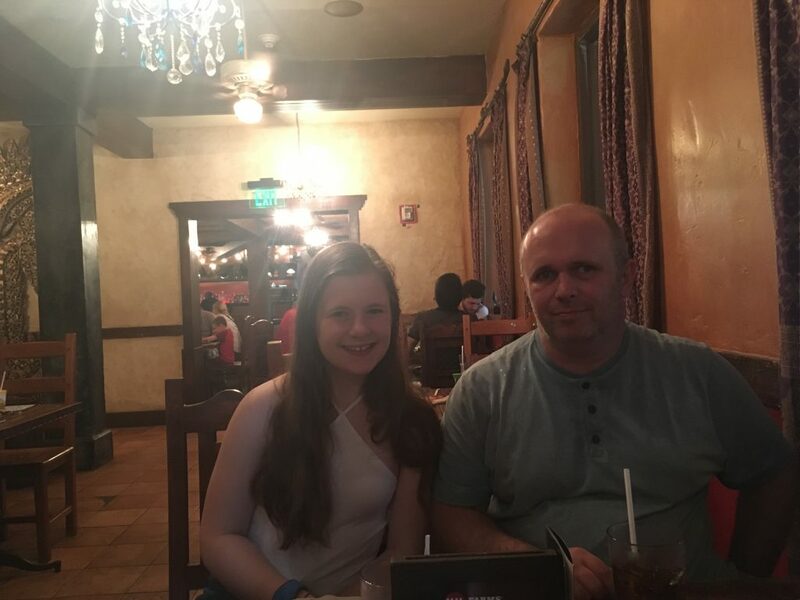 Dining at the Animal Kingdom is some of the best at Walt Disney World, and only Epcot locations tend to be better. 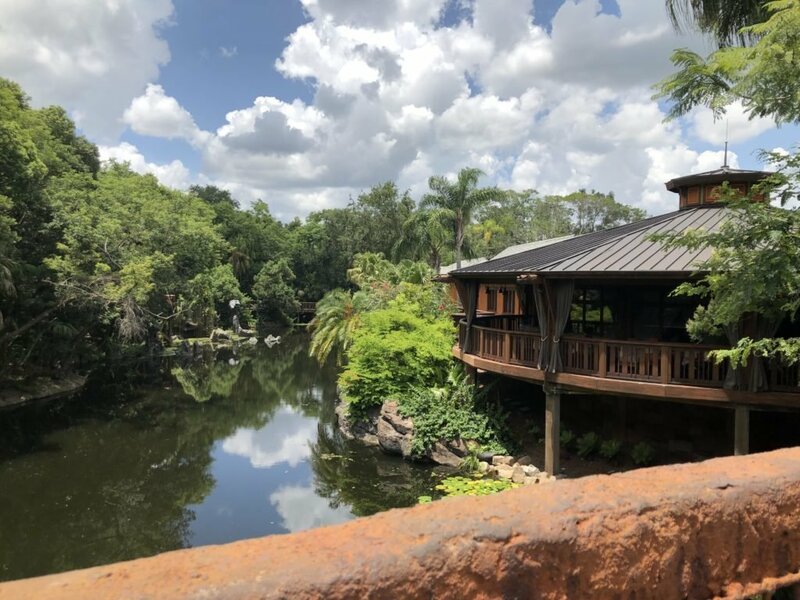 Our Guide to Dining at Walt Disney World has further information to plan your dining experience at the Animal Kingdom. Disney’s Advanced Dining Reservations are restaurant reservations made in advance at the majority of Disney Table Service Restaurants. The Animal Kingdom’s restaurants do fill up and standby lines, if they exist, can be long. Make sure you plan well in advance especially if you have booked the Disney Dining Plan. Our Guide to Advanced Dining Reservations has further information. Disney’s Animal Kingdom is one of the best parks for entertainment offerings. While there is no longer a parade in the park there is plenty of other entertainment you should not miss. Up! A Great Bird Adventure. Shows can be very popular and if you are not using a Fastpass you must arrive well before the scheduled start. 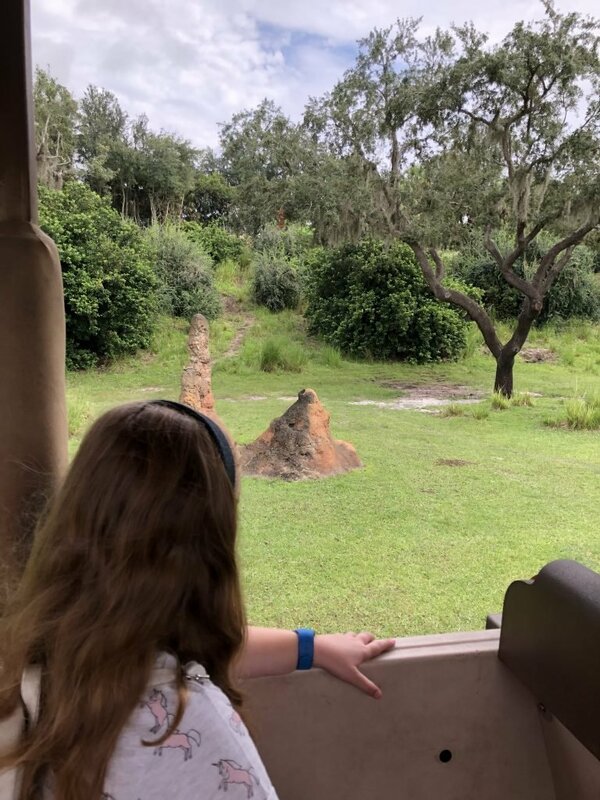 Disney’s Animal Kingdom is perhaps the best park at Walt Disney World to fall upon unexpected entertainment. From fantastic African Bands to the mystical Swotu Wayä Na’vi Drum Ceremony In Pandora, there is so much to discover. In total there are 30 badges to collect. 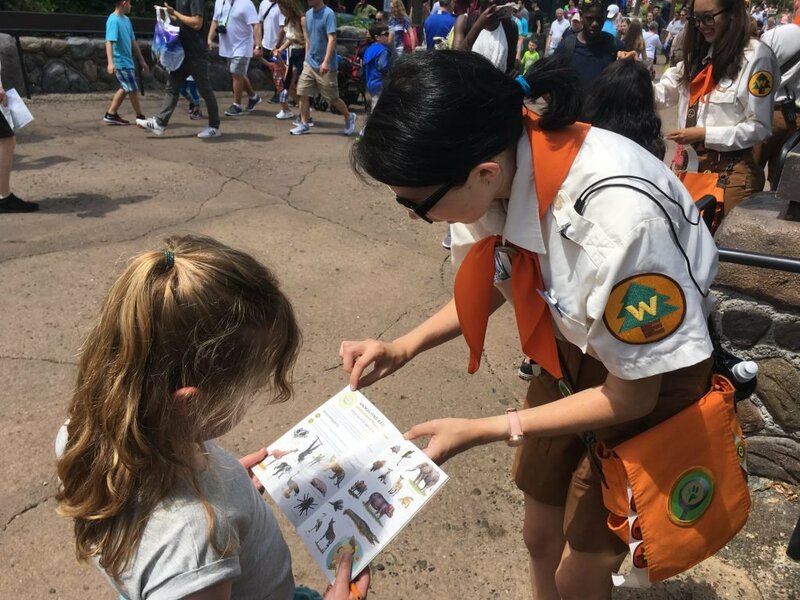 To get started, guests need to collect a field guide from the headquarters which is located on the bridge between the Oasis and Discovery Island. Dance Parties seem to be the “in-thing” at the moment in Walt Disney World, and we now have another! Celebrating 25 years of The Lion King, Timon & Rafiki are hosting the new Hakuna Matata Time Dance Party in Discovery Island throughout 2019. This show is incredibly clever and happens every 10 minutes nightly. A combination of light, projections and music make the animals on the Tree of Life come to life. The show is impossible to describe but you shouldn’t miss it. 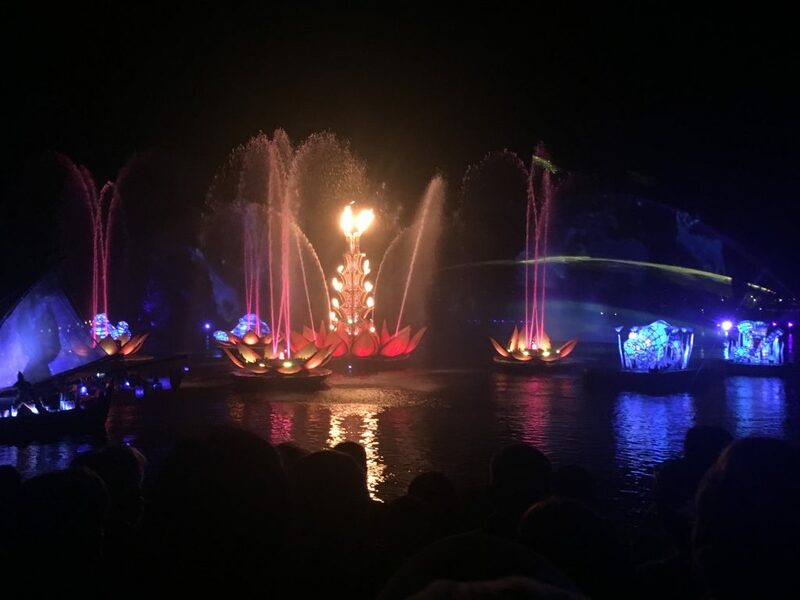 Rivers of Light is the first major night-time attraction at the Animal Kingdom. This highly popular show features water fountains, barges, music and spectacular lighting. There are 11 barges in total. 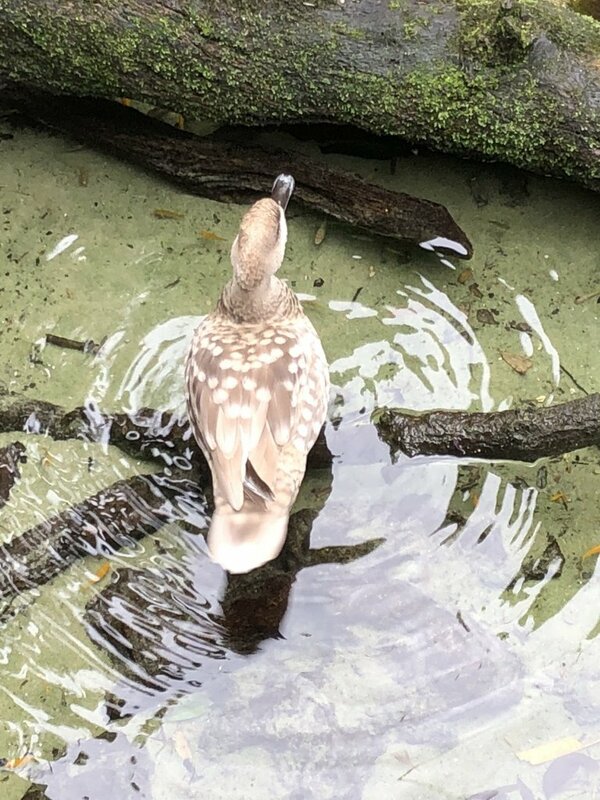 The show is located in Discovery Lagoon between Discovery Island and Expedition Everest. The show is incredibly popular, and if you don’t have a Fastpass, you should arrive at least 1 hour before the show starts. Several of the restaurants at the Animal Kingdom offer Rivers of Light Dining Packages which include reserved seating. I’m not a great fan of Rivers of Light, and would happily skip if time is tight. In my opinion the night time shows in other parks are better. After all the new fun at the Animal Kingdom over the last few years, things feel a little quieter at the moment. Currently, there are no confirmed new attractions. During the course of 2019, there will be occasional seasonal attractions including Christmas. At Modern Life is Good we try and keep you up to date with all the latest news & rumours from Animal Kingdom. Visit our Walt Disney World News Section for all the most recent information on Animal Kingdom. Our Guide to Animal Kingdom for Beginners forms part of our Guide to Walt Disney World for Beginners. The guide is a great starting place to plan any Walt Disney World Vacation. The information will be useful for both first-time and repeat visitors to Walt Disney World. In additions, we have created a selection of Walt Disney World Planning Tips which will help with your vacation planning.